Are you interested in studying human behaviour? This Abnormal Psychology course is the perfect opportunity. Abnormal Psychology is a division of Psychology that deals with any behaviour deemed to be unusual which cannot be categorised by a known mental illness. This specialist area is particularly useful in the field of clinical psychology, so if you hope to study clinical psychology, or hope to become a clinical psychologist, then this course would be ideal. The course is divided into modules which are comprehensive and very informative. Learners will gain insight into clinical research, different models of abnormal behaviour, and the ethics of psychological research. As well as this, study different behaviour states, such as dissociative disorders, personality disorders, and cognitive disorder to name just a few. 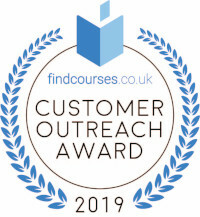 Learners who complete this course successfully will have a well-rounded and technical knowledge of the subject, having gained skills which can be transferred to further study, or work. This course would be very suitable for anyone hoping to go on to higher study, or those hoping to work in Psychology, particularly clinical psychology. This course would also benefit people hoping to go on to further study of psychology. Upon successful completion of this course, you will be awarded a certificate in Abnormal Psychology. 1. 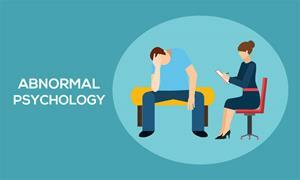 WHAT IS ABNORMAL PSYCHOLOGY? & CLINICAL RESEARCH. 2. WHAT IS BIOLOGICAL PSYCHOLOGY? 6. WHAT IS DIATHESIS STRESS MODEL IN PSYCHOLOGY? 10. WHAT IS DISSOCIATIVE DISORDER AND ANOREXIA NERVOSA? Benefit of applying for NUS extra Discount Card. Fill out your details to find out more about Abnormal Psychology.